Featuring the iconic wardrobe that defined an island! 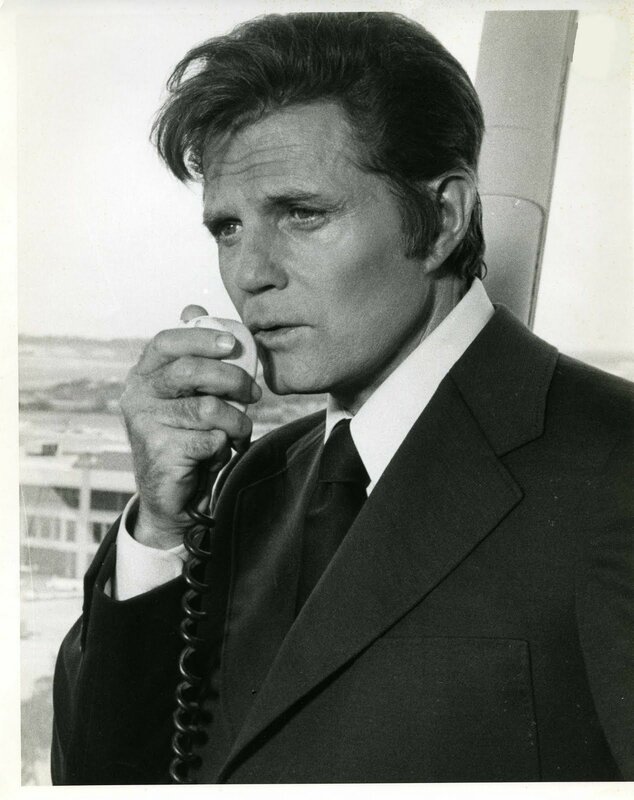 The quintessential suit for McGarrett's wardrobe is the blue. Over the years the fashion has included more polyester and the lapels have widened. 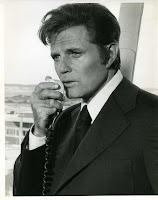 But no one can deny its indelible mark on his style and character. 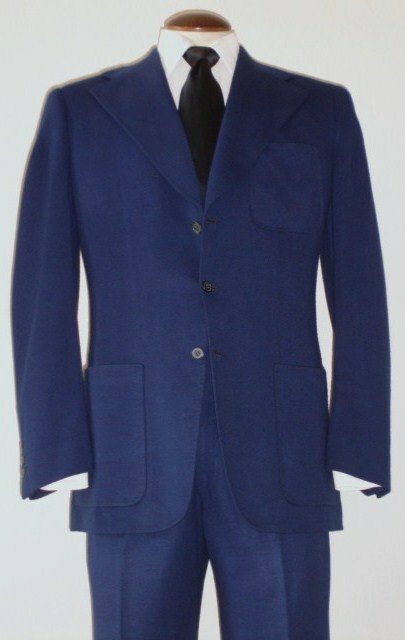 Cotroneo Costume of Hollywood, made several of these suits; wide-lapeled with outer-exposed pockets and in a range of colors. 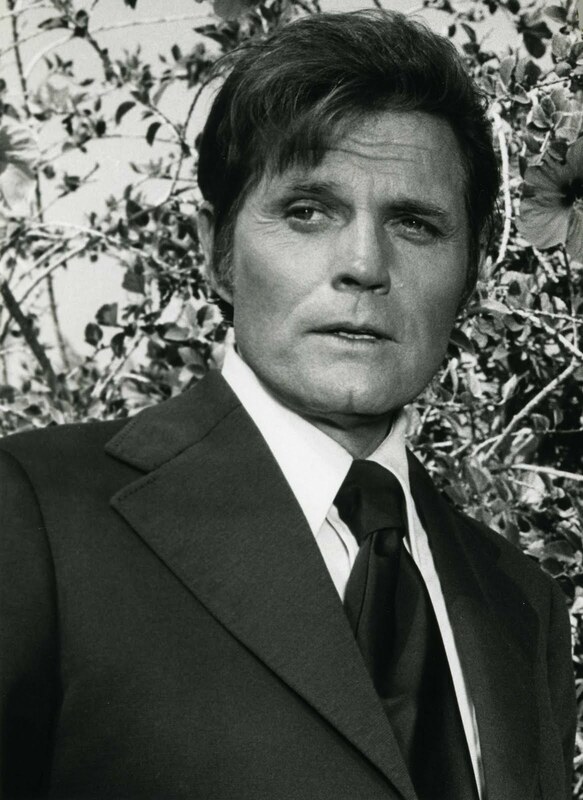 All were custom made of heavy polyester fabric with Jack Lord's name and sometimes the date of issue printed inside. This style was screen-worn in the latter half of the series. This suit is complete and with the correct boots. 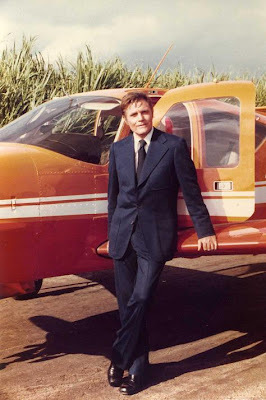 It's pictured here in between takes from episode #237, "A Stranger In His Grave"
Five-0 Factoid: McGarrett, from the very beginning, wore his 3-button suit jackets with only the middle one buttoned.